Ergonomic Collaboration Group (ECG) is a safety solution consulting service with an academic background presenting a tailored approach to your safety training needs. Their services include injury reduction efforts, worksite modifications, kaizen events, safety training, and first aid and CPR training. ECG was looking to expand by connecting with nearby businesses. After much time and consideration, the team decided a great way to generate local interest was through tangible marketing materials, specifically a brochure. The local vendors that ECG initially sought out provided brochure designs that were ‘rather bland and not very exciting’, which shifted their search to online services. After discovering ConceptDrop and speaking with a member of our team, it became clear that dropping off their content was the simplest solution. ConceptDrop’s easy-to-use and intuitive platform allowed the first-time user, Patrick Carley from ECG, to seamlessly submit his project request. Through the platform’s built-in messaging platform, the client easily communicated with his freelancer from start to finish, resulting in a professionally designed brochure articulating ECG’s services. ECG began personally introducing themselves to local businesses and used their brochure created through ConceptDrop to further educate these potential leads. 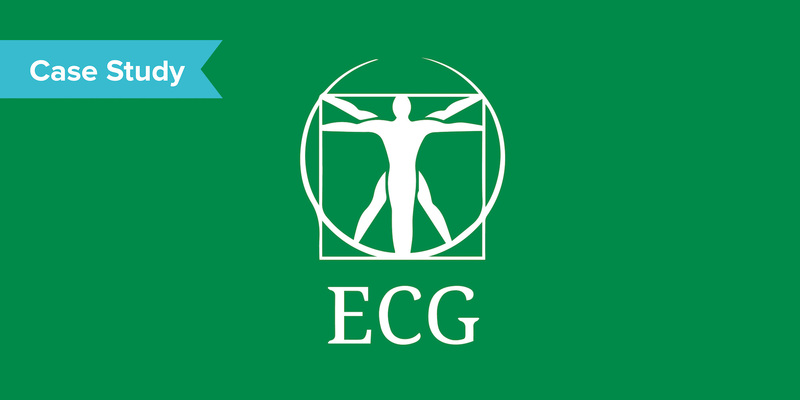 Not only has the brochure provided ECG with a tangible item to inform clients, it has also served as a gateway for starting the conversation of who they are and how they can help. Our services were able to provide this company with an impactful marketing tool, allowing them to confidently reach out to potential customers and grow their business locally. In need of high-quality sales and marketing collateral to grow your business? Get in touch with a member of our team to begin creating the marketing tools needed to increase your reach. Request a demo today!